Stucco, also known as Portland cement plaster, is a popular finish for many commercial and residential structures. It was originally made from lime, sand and water. Today it is made from Portland cement, aggregate (sand) and water. Cement, a word that dates back to the Romans, is the binder that holds the materials together. Portland cement is one of the key ingredients of concrete, and can be found in structures such as high-rise buildings and freeways. Stucco can also be applied to brick, stone, concrete and adobe, as well as a wood frame or other types of material. Builders often use stucco for exterior work because of its strength and toughness in a variety of weather conditions. It also has a high resistance to rust and fire. Because stucco is breathable, moisture can pass through the material, which help prevents rot. Additionally, Portland cement plaster is extremely economical. Another advantage to using stucco on a building is its adaptability to many different types of architectural styles. Pigment can be added to stucco to change its color, and textures can be created to make the plaster look like brick, stone or wood. In ancient times, it was used to create architectural designs (reliefs). Sometimes additional materials are added to the stucco to increase its durability and flexibility. Many homes have stucco siding, especially buildings with a Mediterranean or Spanish style. Stucco is also used as an interior finish. Like most building materials, stucco can become damaged over time. Cracks can appear, as well as holes. There can also be chipping, especially around or near corners. Cracking is usually the result of settlement. 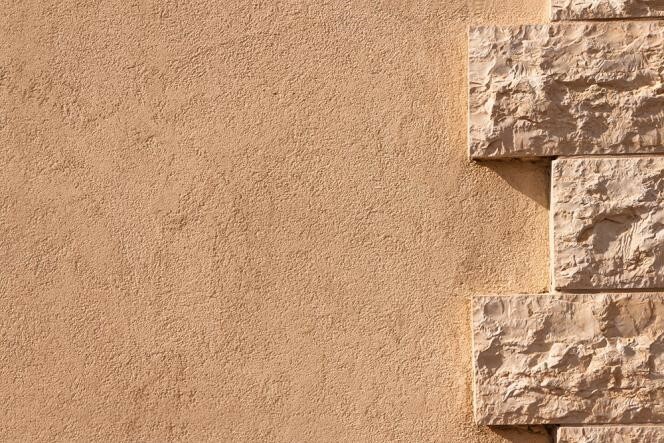 Although stucco cracking can be a normal part of a building’s aging process, it can also be a sign of more serious foundation problems. Any stucco damage should be inspected by a foundation repair expert to make sure the cause of the cracking is properly identified and fully corrected. Whenever a hole or crack appears, it needs to be repaired quickly to prevent further damage and deterioration. Water can enter the building through stucco wall cracks, causing rot and other structural issues, which will eventually require more extensive and costly repairs. The rate at which water will enter a building through a stucco crack will depend on its size and depth of the crack, and where it is located. The amount of wind in the area can also influence the degree of water penetration. Home repair of stucco can be difficult, particularly if you need to match textures and colors. The foundation crack repair also needs to be waterproof. You will also want to make sure that any underlying structural issues or conditions causing the cracking are addressed as well. A foundation contractor can thoroughly inspect your property and give you valuable feedback regarding stucco repairs and any other building or foundation crack repair issues that may need to be corrected. Taking stucco services for new or old construction always give excellent results. Like GR General Contractors & Roofing Contractors NY.